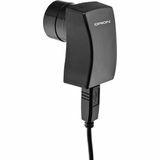 Our second generation USB eyepiece features improved resolution (640x480) and sensitivity over the original, plus a fast 30 fps frame rate to catch fleeting planetary and lunar events. Transmits live images to your laptop or desktop PC. 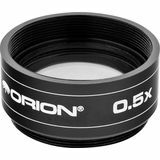 The 1.25" Orion 0.5x focal reducer increases the area imaged by your StarShoot G3 or G4 camera. The larger imaging area allows capture of larger star fields that may not fit entirely in your telescope's normal field of view. With its high 74% quantum efficiency, the StarShoot AutoGuider Pro will "guide" you to capturing better pictures. 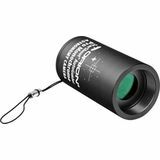 This multipurpose monochrome device is primarily designed for autoguiding, but also performs as a high-quality astrophotography camera. 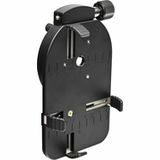 Use this handy adapter to capture smartphone photos of the view in your telescope, so you can share your stargazing experiences via text, email, or social media. SteadyPix EZ makes it easy to take sharply focused high-power photos through your scope.